If you are a Batman fan then you will be happy to know that Batman: The Enemy Within [Free] has finally been released for iOS and Android. Telltale Games has done a great job on this one just as they have done on Batman: The Telltale Series. Lucky for you, Episode 1 is free so be sure to check it out. Episode 2 is also available but will be obtainable via in-app purchases. 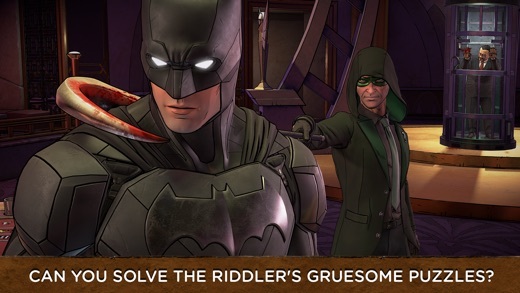 In this chapter you will be facing The Riddler who returns to terrorize Gotham City while your long-time rival The Joker will be preparing for even more terrible disasters. The dilemma between Bruce and Batman will become deeper and darker as you play along and it will be your decisions that will unfold the story. You can watch the trailer for Batman: The Enemy Within below.